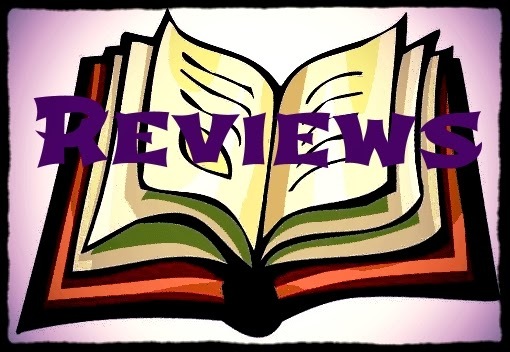 Today's reviews are all memoirs - a historical account written from personal knowledge of special sources. Two of the books are from my home state of Michigan and one is from a beloved NC author. Could you write a book about your memories of a certain time in your life? I don't read a lot of non fiction but agreed to read this book and am glad that I did. Tia Shurina has written a book that expresses her deepest thoughts and feeling as she works to get through a very difficult year in her life. A breast cancer scare and the death of her father are only two of the things that made her year difficult. To get through the year, she wrote this book -- the book is sometimes hard to follow and much of it is written in stream of consciousness. She repeats various thoughts and it gets bogged down in parts. But one thing that is apparent throughout the book is Tia's truth and honesty as she deals with everything that life can throw at her. I learned a lot and am glad that I read this book. As someone who grew up in the Detroit area, I am always excited to read books about the revival going on in this once magnificent city. 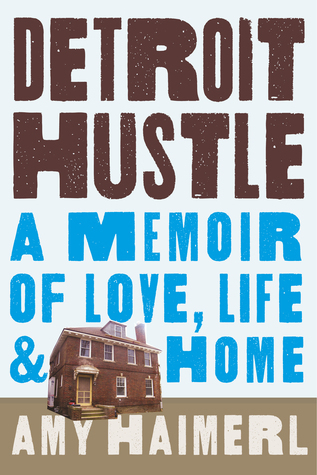 This book by Amy Haimerl gave me a more personal view of the changes in the city and I'm glad that there are people like Amy and her husband Karl who want to do their small part to help Detroit come alive again. Amy and Karl lived in NY and were looking for somewhere to live where they could afford to buy a house for cheap and re-hab it. They cashed in their savings and bought an abandoned house in Detroit for $35,000. "The house...has no plumbing. No electricity. No heat...There is essentially nothing left inside the walls. Every pipe, every radiator, every wire is stripped. Every door is missing...What we have is a pile of bricks with character." So begins their journey in Detroit. As they meet their neighbors and work on their house, they learn how to make Detroit their home. I'd like to think that more people like Amy and Karl can save Detroit and maybe they can...one neighborhood at a time. I have read all of Lee Smith's books. She is one of the few authors that I will buy their books without even reading a review. Because of that, I have always wanted to meet her and talk to her about her writing. This book has made me feel like I sat down on a vine covered summer porch in a rocking chair and had a long chat with her. 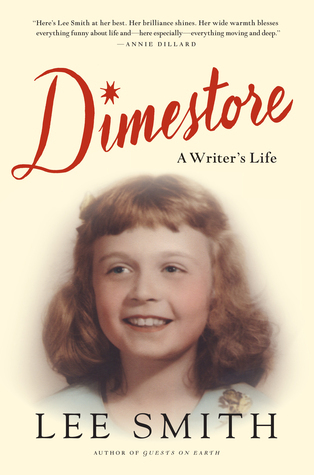 Dimestore is a book of essays on her writing, her memories of growing up in Virginia, and the struggles and successes of her life. This was a rare glimpse into the life of a fantastic author. If you love Lee Smith, you will love this book. 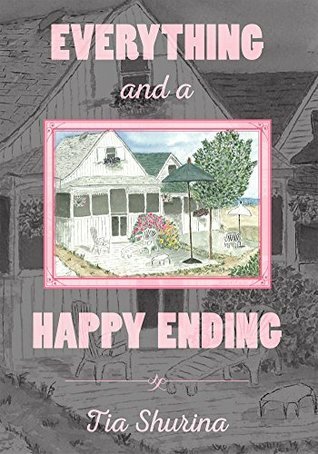 If you haven't read Lee Smith, read this book and it will make you want to read her novels. Trust me...it's a WIN WIN situation. 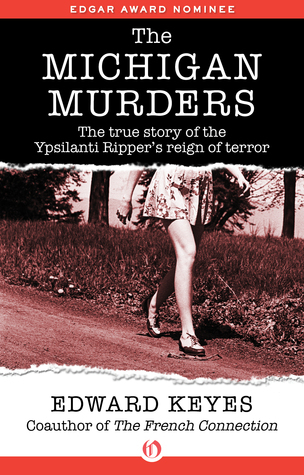 I was a college student in Detroit in the late 60s when John Norman Collins committed several gruesome murders of college co-eds in the Ann Arbor area near Detroit. He was found guilty in 1970 and is still incarcerated in prison in Michigan. I remember very well that the female college were very careful and very scared during the time period that he was killing women. When I saw this book was available, I decided to read it again to remember that era. It was interesting to read how the police solved the murders in the day before DNA evidence and to be reminded of life in the 60s. The Bridge Ladies is a memoir about a group of ladies who got together every Monday afternoon for 50 years to play bridge. On the surface, it's a book about the game of bridge but in reality it's so much more. This is one of Betsy's comments about her mom very early in the book. They had a complicated mother daughter relationship. Betsy grew up in the age of women's liberation wanting to pursue a career before marriage. Her mom grew up in the age when getting married and staying married was the goal of every woman. 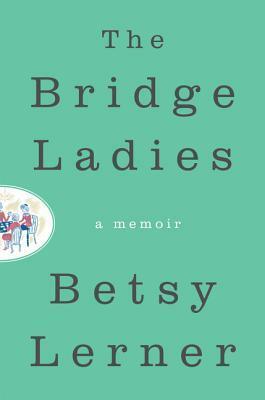 Betsy spent a lot of money in therapy to better understand her mother but it was only by joining her mom's bridge group and learning more about her mom as a person and not as her mother, that she was able to understand how much of her mother's life she knew so little about and that it was these hidden parts that defined the person her mother was. Even though the central part of this story is about Betsy and her mother, there are also the other four women in the bridge group that Betsy interviews and that we get to know. Through her understanding of the women as individuals and as a group, we get a glimpse into a generation where secrets aren't shared with the world and opinions are kept quiet. It's a wonderful look at the generation that my Mom is part of and reading it gave me some insight into her life. Thanks, Betsy, for sharing this book with your readers. I think it will be a great book for mothers and daughters to read together and discuss. Dimestore is on my to read this year list, and The Bridge Ladies really looks good. I love the snippet. I still have The Sound of Gravel on my shelf to get to soon.